Recognizing that the celebration of the sacred liturgy is the source and summit of our life in the church, the purpose of the Parish Liturgical Commission is to broaden and deepen the liturgical life of the parish, encouraging the full, conscious, and active participation in the liturgy by all of the faithful. The Mass is the ultimate form of prayer for us as Catholics, and ministering at the Masses is a great way to serve God and the community. We offer many different ways to get involved with Mass; please visit our Liturgical Ministries page to learn more about our Eucharistic Ministers, lectors, altar servers, sacristans, and more. Liturgical celebrations, including the Sacraments, devotions, weddings and funerals, are central to our Catholic faith. Please visit our Devotions page to learn more about the Marian Movement (praying the Rosary) and the Adoration of the Blessed Sacrament at St. John, and visit our Sacraments page for more information on the sacraments of Baptism, Reconciliation, and more. Matrimony blesses couples who desire to witness their love for one another and reflect the love of Christ for the Church. To ensure the preparation needed for such a joyous celebration, please contact the parish at least six months prior to the anticipated wedding date, and the Wedding Guidelines section of our website provides information about Preparing for Your Wedding, Liturgy Planning, and Practical Considerations. The Funeral Mass is the central liturgical celebration of the Christian community for the deceased. 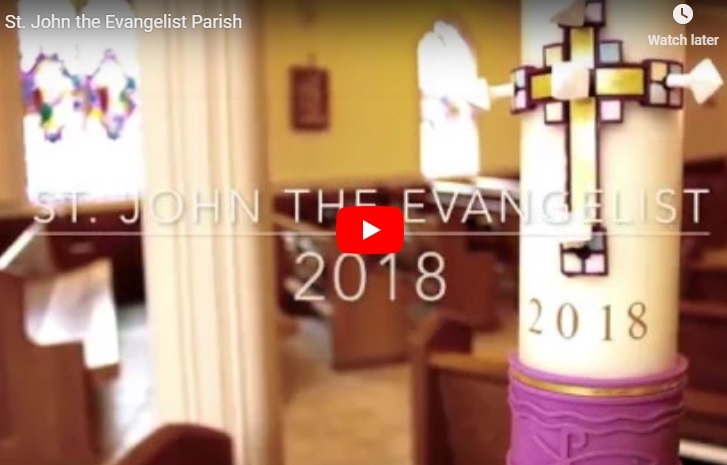 At St. John Parish, we encourage families to participate fully in planning the Mass. The Funeral Liturgy section of our website contains information and documents to help families with the process.